Learn how the insights and findings from this report are reshaping the national conversation about Jewish teens. Learn where our current work with Teen professionals is taking the 14 Outcomes from the report. View our interactive report below or download a copy. 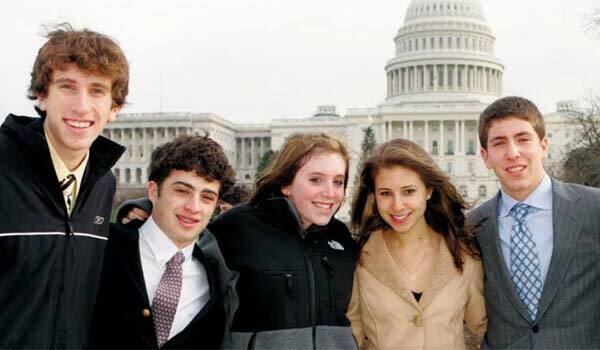 Our work with Teen Professionals is now firmly guided by these “Outcomes that Positively Impact the Lives of Jewish Teens.” Since the beginning of the 2016-17 academic year, our Teen Engagement workshops, webinars and networks are focused on using the outcome framework in professional practice. In addition to guiding others who are using the outcomes to influence their work (see the Outcomes Network link below), we are also modeling outcome driven education by selecting two outcomes for our current content focus. For more on learning opportunities connected to these outcomes, please see our Teens Thrive Series. Interested in discussing with others how to put any of these outcomes into action in your setting? Join our Generation Now Outcomes Network (national & virtual)…or at least be part of our first virtual meeting. There are a number of important resources within the report and some that have been created since which we are pleased to share with you below. For those interested in more fully immersing yourself in some of the earlier research and background information on Jewish Teens, you’ll find links to these resources at the end of the page as well.